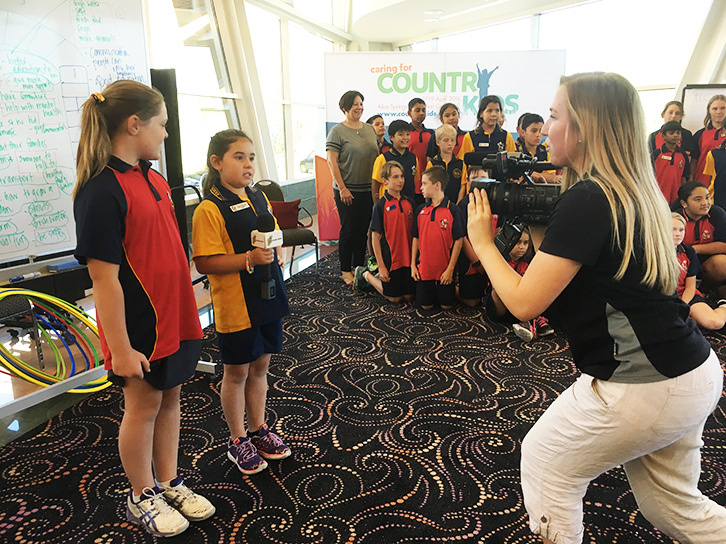 The Caring for Country Kids Conference included participation by several groups of local children including: Drum Atweme, Braitling Primary School, Bradshaw Primary School, Sadadeen Primary School, Dusty Feet Dance and ballet dancers from Tennant Creek. 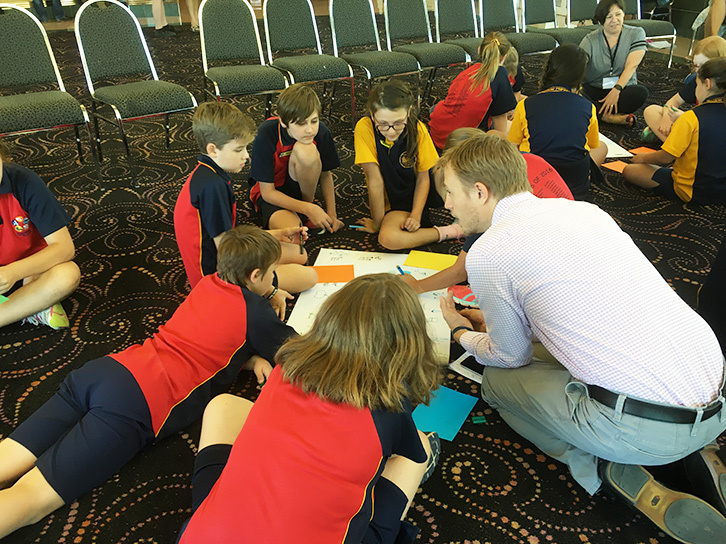 A dedicated workshop was held with the children from Tennant Creek and the leadership group from Bradshaw Primary School that involved the Conference MC, Tim Moore; and National Children’s Commissioner, Megan Mitchell, working with the children to find out from them what it means to be healthy, what it means to not be healthy and what can be done to improve things. Outcomes from this session were input into the Conference recommendations process. 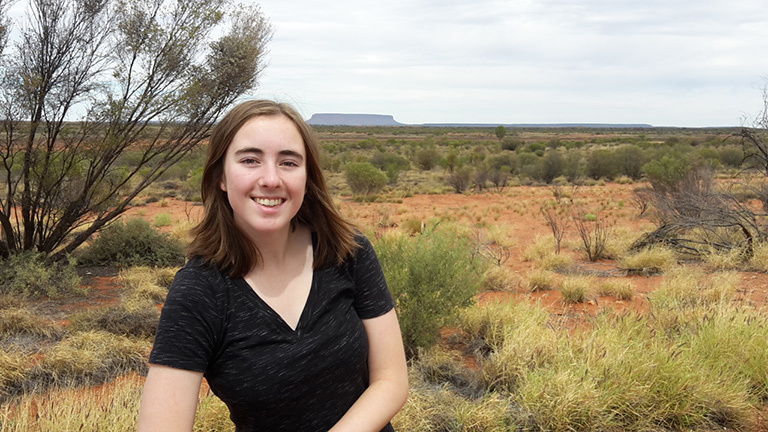 Isabella Bishop is a year 10 student from Alfred Deakin High School in Canberra. 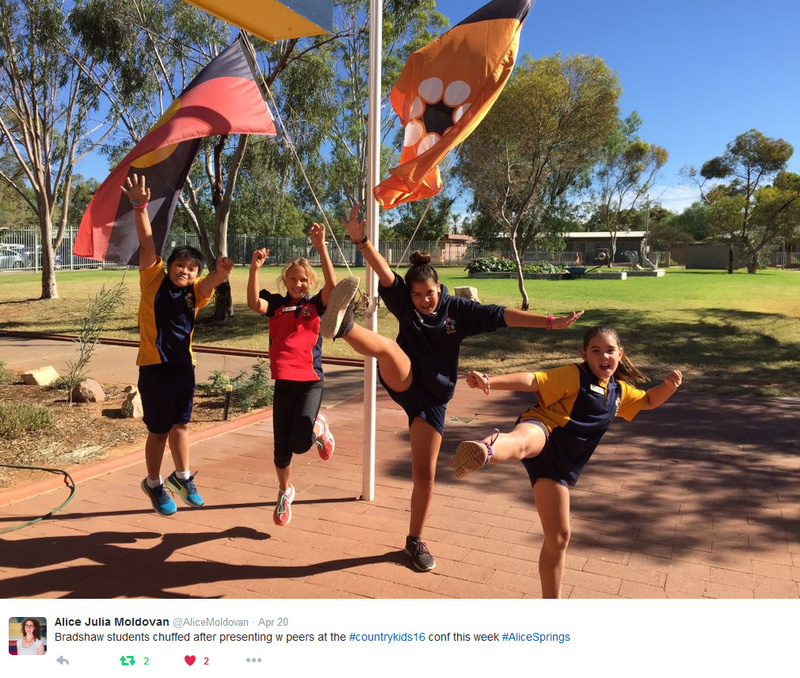 She was on holiday in central Australia with her family and decided to attend the Caring for Country Kids conference with her mum, who was presenting. This is her perspective on the conference. 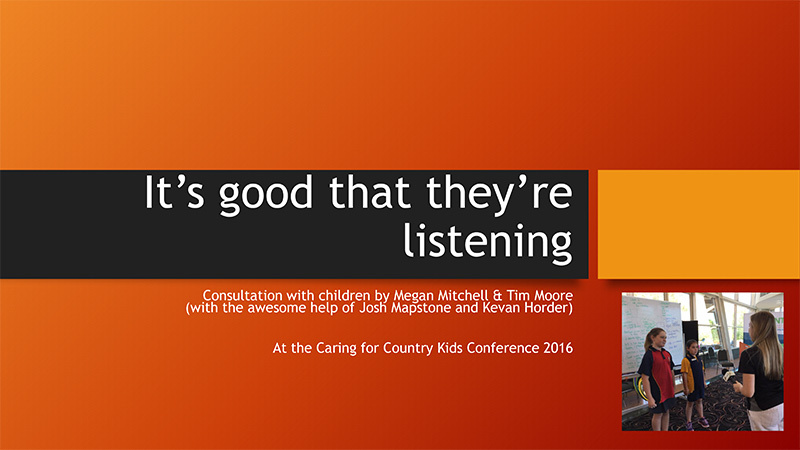 Attending the conference Caring for Country Kids was an interesting and eye-opening experience. Every speaker offered unique knowledge on different aspects about caring for country kids, however there were a few key points that were repeated by almost every speaker - these points outlined the need for government to stop wasting all their energy by running on the spot and to start seeking progress through stabilising funding for programs, and by listening to the voices of people who are the targets of many of these health programs. 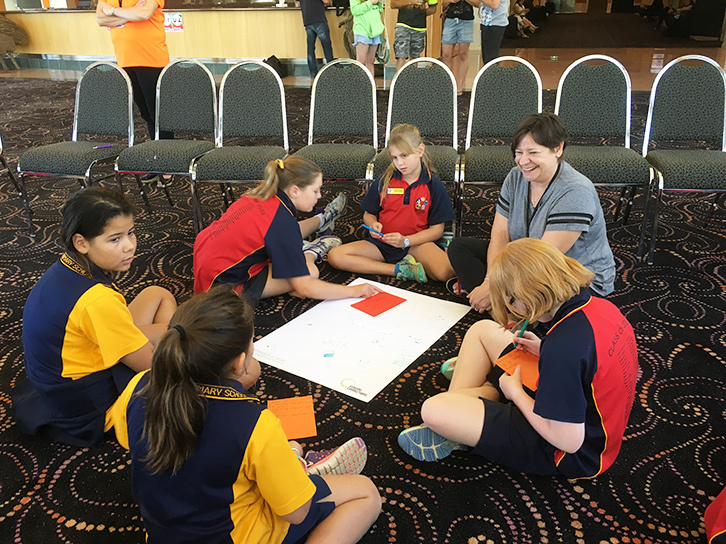 Another prominent theme was not dissimilar, calling for the need for communication between the many separate organisations offering healthcare to country kids, so that healthcare could be organised with less overlap and more efficiency. Many different speakers called for the need to acknowledge the benefits of early intervention and prevention, showing that by stopping problems before they begin will result in more money being saved overall and quality of health improving. 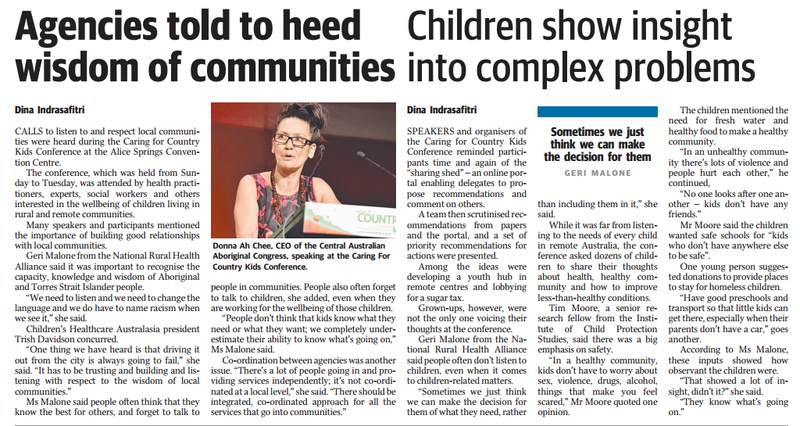 The conference was really worthwhile attending, and the highlights for me were the sessions I attended about fetal alcohol spectrum disorder (FASD), mental health in children, and Aboriginal and Torres Strait Islander health. I was really moved by the Aboriginal and Torres Strait Islander speakers, who really highlighted how many Aboriginal and Torres Strait Islander people feel they are subjects of racism, and their anger that many health programs directed towards them are founded on little evidence, and are rarely implemented with any input from Aboriginal and Torres Strait Islander people. The FASD session was really educational and had a lot of interesting statistics. The most startling thing about FASD was that in 1973 we knew the same amount of information about FASD as we do today, and the nation has made no progress in 40 years around the subject. The government refuses to acknowledge it is a problem, and much of Australia has no information around the subject, with 1 in 5 children in the NT having FASD. After listening to all of the astounding facts around this issue, with a few facts about alcohol related violence thrown in, it stupefies me that nothing has been done around this issue, which is clearly so pressing and has an easy fix. 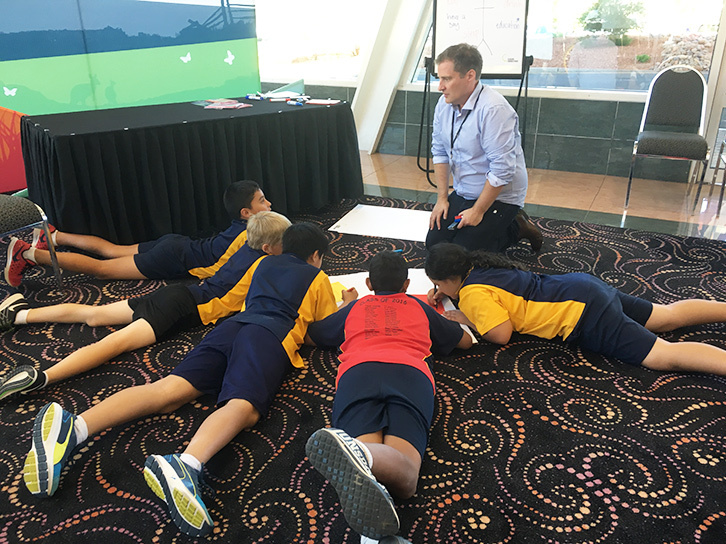 The mental health session I attended was really important to me, because I have seen how bad mental health is at my high school - which is located in a major city - and I realised if it was that bad where I lived, it must be worse in remote and rural communities. Much of what was talked about in this session applied to kids as a whole, not just remote and rural kids. After sitting through many of these speaker’s presentations, I thought that it was rather shocking that there is not many support systems for children, since many mental health support systems are only available to adults despite a study showing that 75% of all mental health disorders actually emerge before the age of 25. Overall, the experience was very enlightening and I learnt a lot. The one thing that I would have changed about the conference, was that I would have tried to get more kids around my age who are interested to attend it, because we are going to be the next generation of people who lead in healthcare positions. Altogether, I am convinced about the importance of intervening from prebirth to the first five years, because the conference showed if we get it right the first time, we get it right forever.